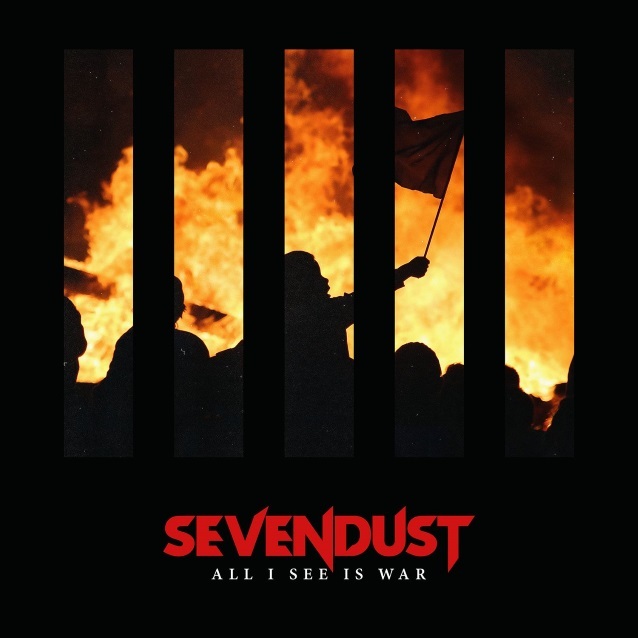 SEVENDUST guitarist John Connolly spoke to All That Shreds about the making of the band's new album, "All I See Is War", which will be released on May 11. "We wrote a lot more [than we did on previous records]," he said. "We usually come to the party with 30 new songs to choose from. This time we had 50-60 songs. You have time off, and you're excited about writing new songs. Every time you get a chance to make new music, we ask ourselves, do we kind of stay right what we are, or do we explore something new? There's always that moment you go. 'What new territory can we get ourselves into?'" John also talked about SEVENDUST's decision to utilize the services of producer Michael "Elvis" Baskette, who has previously worked with Slash and ALTER BRIDGE, among other artists. "I've been a massive fan of Elvis's since INCUBUS and STP, going way back," he said. "He produced some of the earliest STONE TEMPLE PILOTS. Tone-wise, all good stuff. For us, it was such a welcome [change]. 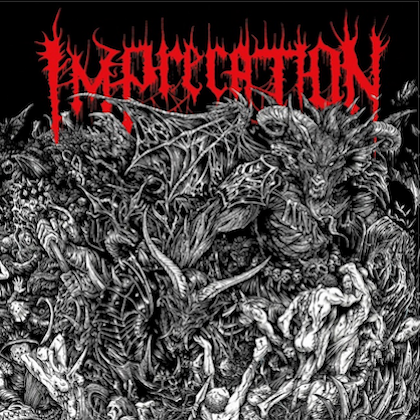 We hadn't worked with a producer for a while. 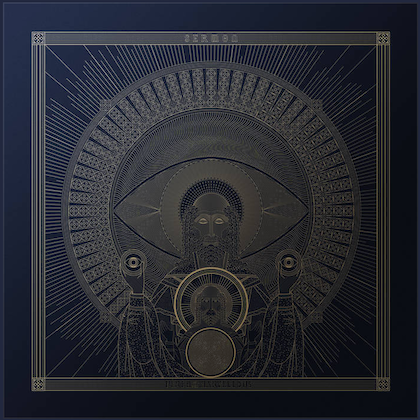 The last time we worked with an actual producer — not to take anything away from [engineer and mixer] Mike Ferretti, [who] stepped into that role for sure and helped us out [on 2013's 'Black Out The Sun' and 2015's 'Kill The Flaw'] — it was 2008, and it's been a while, almost ten years, so we figured, 'All right. Let's hit reboot and let's get someone.'" According to Connolly, Baskette was a very hands-on producer who scrutinized every aspect of SEVENDUST's new album. "Every note, and I mean every note — you think I'm exaggerating when I say this — but every note goes under the microscope [when you work with Elvis]," he said. "All of the drums, bass, guitars too — he doesn't miss anything, and that's what I love about him. We may miss some stuff. He's not missing anything. He has a picture, you know, with our pictures, and hopefully, we can come together and make that vision." Asked if he and his bandmates told Elvis what sound they wanted to create with "All I See Is War", John said: "He's been a fan since he heard [1999's] 'Home'. He wanted that impact. He wanted that impact of 'Home'. 'Animosity', arguably one of our best-sounding records, but there’s something about 'Home' that a lot of people — I don't quite get it — but a lot of people identify with it, and that was his thing. I don't think it sounds like 'Home' at all, but I do think it sounds like a hybrid of 'Home'." 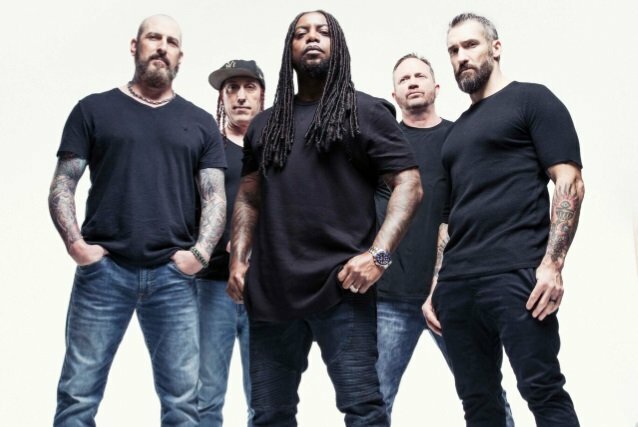 SEVENDUST's new disc will be the group's first for Rise Records, the Oregon-based metal and hard rock label which was purchased by BMG in 2015. SEVENDUST will head out on a headline tour this spring in support of "All I See Is War". The trek will kick off on April 20 in Tempe, Arizona and will wrap up at Rockfest in Kansas City, Kansas. The tour will make stops in Austin, Texas; Nashville, Tennessee; Clifton Park, New York and Cincinnati, Ohio, among others. MEMPHIS MAY FIRE, FIRE FROM THE GODS and MADAME MAYHEM will join SEVENDUST on the run.